Just a nice, simple summer design - majorly inspired by a print by Bouffants and Broken Hearts on Tumblr! When in doubt, paint roses! I just love how these turned out. 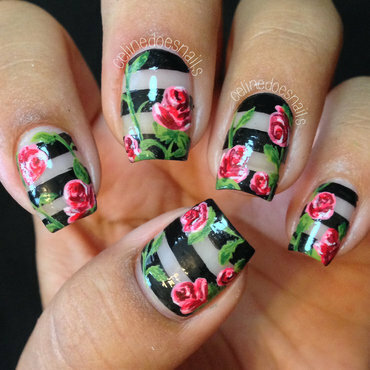 Freehand stripes and the roses were done with acrylic paint. 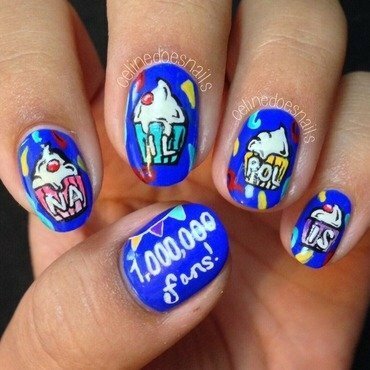 I tried my best to convey a party on my nails to celebrate NailPolis' 1,000,000 fans on Facebook! I went with some fun cupcakes with confetti in the background. This is a gorgeous pastel purple polish. I keep saying this, but I loved this one as well! It's not quite as bright in real life as in this photo, but believe me when I say it's beautiful! Shown here is just two coats. This is a much different pink from the last. 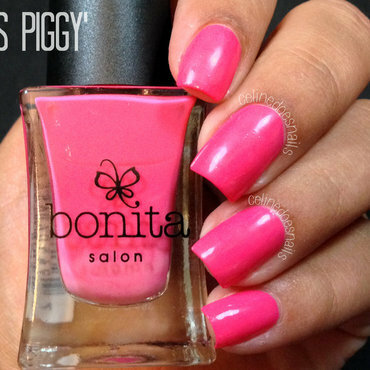 Miss Piggy is kind of a jelly, the perfect pink polish - with no shimmer! I particularly liked this one. Another great formula, just two coats here. I'm not sure why this photo turned out so strange looking, for some reason the color kind of freaked out my camera. This is a gorgeous pastel blue polish. I have to admit I absolutely loved this one. 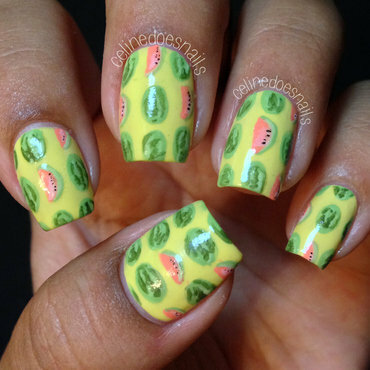 A perfect creme polish. 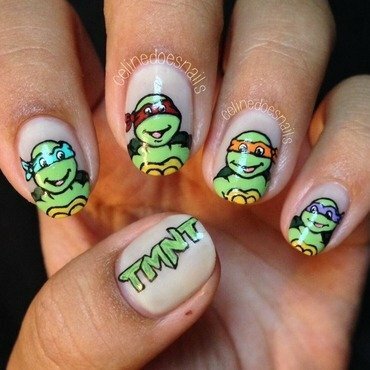 Nice formula and all, just two coats here. Serious apologies for the bubbles. Sometimes the heat causes weird thing to happen to polishes. Living inland San Diego has it's downsides! This polish looks much more pastel in person, I must say. Shown here is just two coats, very nice formula! 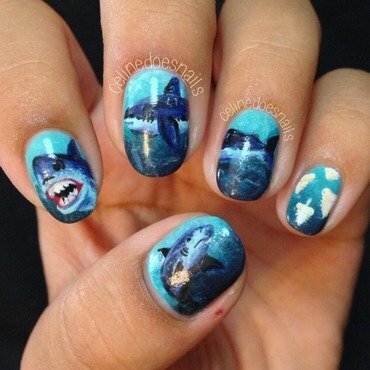 and no shimmer! I would describe this as a frosty mint green polish. 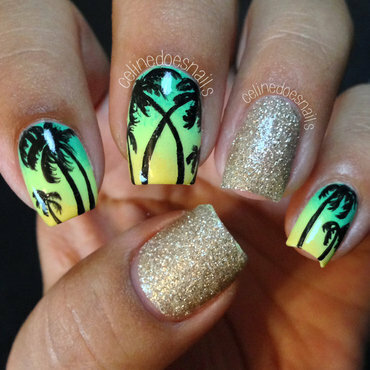 As I've said many times before, I'm not a huge fan of shimmer polishes but look how pretty this is! I feel like this polish is really unique. Shown here is three thin coats, super easy formula as well. This is a beautiful teal shimmer polish. I can't say I was absolutely crazy over this polish, but it's definitely gorgeous! This formula kind of troubled me, as it was a lot thicker than the rest of the polishes. Not impossible to work with though. You could probably get away with just one coat with this polish, but two is shown here. A beautiful pastel yellow from Bonita! Shown here is three coats with top coat. Had some streaking but it wasn't too bad. #Pink is a beautiful Fuchsia shimmer polish. This polish had a really nice formula and shown here is just two coats. 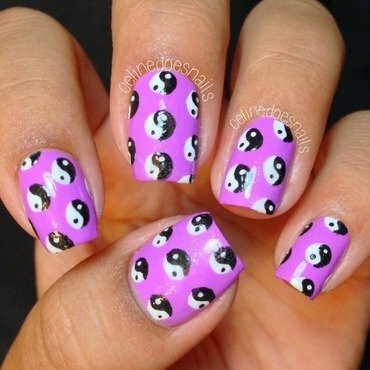 I received quite a few requests for a Ying and Yang design, so here's what I came up with! Pretty simple but I like them anyway!